4.5 11 Be the first to write a review! Comfortable orthopedic grade seat cushion! The Charcoal Bamboo Seat Cushion molds to the shape of your body giving support and relief to most aches and pains associated with back and neck pain, sciatica discomfort, numbness, soreness, fatigue and more! 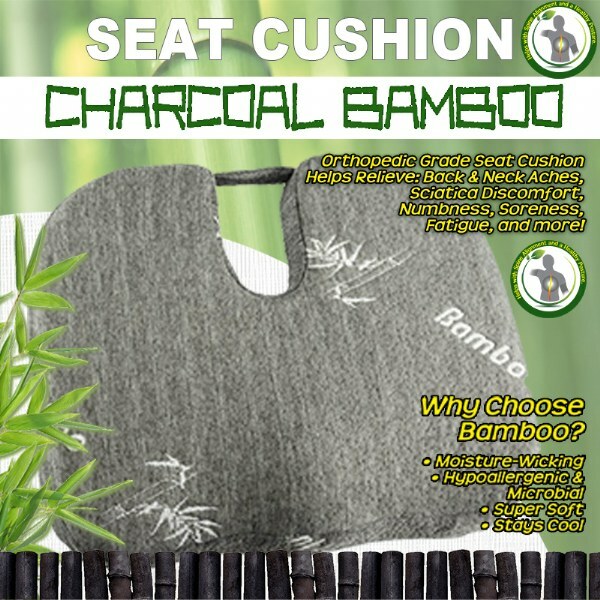 The charcoal bamboo cover is moisture-wicking, hypoallergenic and microbial, super soft and stays cool. Cover is machine washable. Measures 17.5"x14"